Prepare for the fallout in the latest from the next season of the anthology horror series. 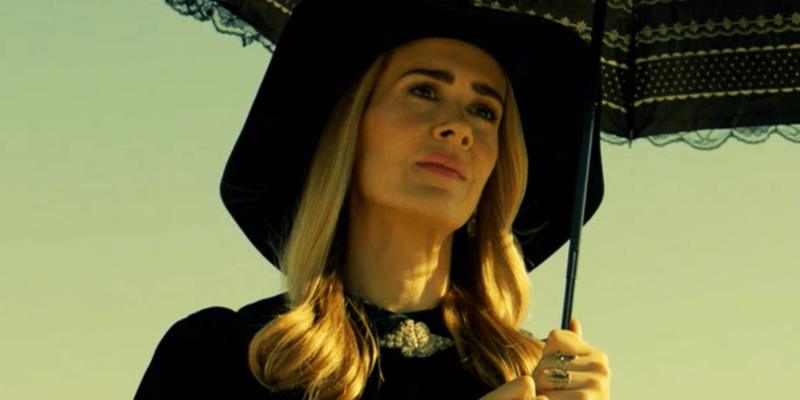 The premiere date of American Horror Story: Apocalypse is quickly approaching and the steady stream of new teasers and set photos continues. The main location for the recent photos have come from the set of Murder House, which is appearing to be a key location in Apocalypse, which makes sense considering the antichrist child himself originated from that story and location. We started off with the reappearance of the Harmon family, which also confirmed that Taissa Farmiga would be reprising her role as well. Evan Peters also arrived on set to make his return as Tate, making an appearance with Dylan McDermott shortly before the guest arrival of one member of the coven was revealed when Emma Roberts also showed up at the murder house. The next new photo from Apocalypse comes from the Instagram account of series creator Ryan Murphy, who shared a brand-new shot of Peters and Farmiga on set as Tate and Violet, captioned with the question, "Together forever?" Have a look below. Finally, the above teaser is the latest piece of promotional material to drop, inviting fans to prepare for the fallout. Check it out and get ready for American Horror Story to return on September 12th when its next story, Apocalypse, finally makes its premiere.